A gout attack is not pleasant. The pain is so bad that sufferers are often hospitalised for days, if not weeks. More importantly, gout is typically indicative of other more serious health issues behind the scenes… Like a window into the state of an individual’s metabolic health. Unfortunately the occurrence, or recurrence of gout is only getting worse. Rates are on the rise from China to the UK, and it is now the most common inflammatory arthritis in the US (1, 2). Information online about gout treatment can be particularly confusing, and even contradictory at times. This is because we don’t yet completely understand the mechanism behind gout… But we do have a lot of big clues. 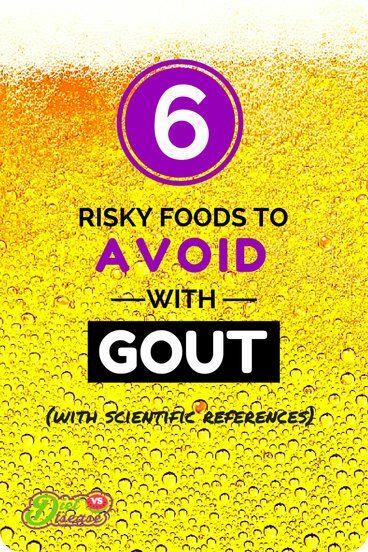 The following is a list of the top 6 foods to avoid with gout, explaining what we know and how it applies to you. What is Gout and What Causes It? Before we can look at foods to avoid with gout, it is necessary to briefly understand what it is. 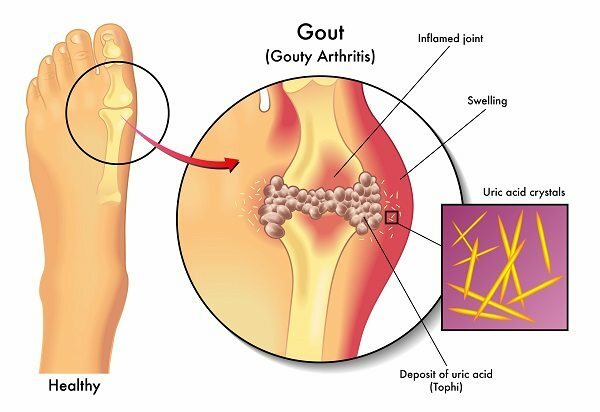 Gout is a form of joint inflammation, caused by excessive uric acid in circulation (known medically as Hyperuricaemia). When the body’s natural uric acid threshold is exceeded, painful crystals (urate) can form in and around the joints. These crystals trigger the characteristic symptoms and pain. Not everybody with high uric acid levels will get gout, but those who do always have high uric acid levels. This indicates there are other factors at play, but from a dietary perspective uric acid is the focus. Excessive uric acid in the blood stream is typically driven by two factors: genetic predisposition (family history) and the ingestion of high-purine foods. Obviously, the dietary factor we can control. When purines we eat are broken down and metabolised by the body, uric acid is formed as a by-product of this process. It’s normal and healthy for uric acid to be formed, but excessive amounts are problematic. Therefore, consuming less purine-rich foods should lower uric acid levels in your blood, lowering gout risk. 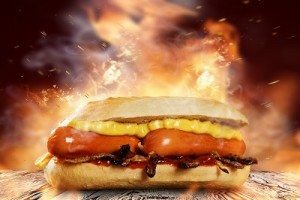 Here’s a list of foods to avoid if you have gout, based on real scientific evidence. Summary: Gout is a type of joint inflammation that occurs when excessive uric acid levels build up in the blood. The breakdown of purines from our food is thought to drive excess uric acid levels, although there is much more to it. It is well-established that frequent alcohol intake dramatically increases risk of gout (3). The Framingham Heart Study of over 4,500 participants provides some perspective. Researchers found that regular alcohol use was associated with three times greater risk of gout in women compared to those who have less than 2 standard drinks per week. For men, regular drinkers had double the risk of non-drinkers (4). 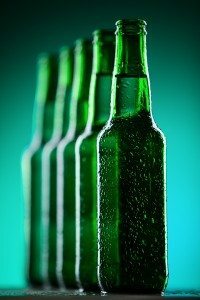 Beer seems to be the worst, followed by hard liquors such as spirits. Interestingly, moderate wine consumption is not linked with any risk (5). The reason why alcohol increases uric acid levels is still not well-understood. Some forms, particularly beer, can be high in purines… but they are certainly not the richest source of purines in our diet. Additional theories propose that excessive alcohol may also reduce the body’s ability to excrete uric acid. Others state that alcohol – especially beer – increases the chemical breakdown of purine-containing ATP nucleotides, which is a precursor of uric acid production (6, 7). Summary: Regular alcohol intake severely raises uric acid levels in the blood. It doubles, if not triples your risk of gout. The conversion of purines to uric acid, in theory, causes gout. Therefore high-purine foods are often suspected to trigger symptoms. Meat, and to a lesser extent seafood, are prime suspects. This includes all the most common meats like beef, chicken, pork and lamb. The data available somewhat confirms suspicions. Each additional daily serving of meat or seafood is associated with a 21% or 7% increased risk of gout, respectively (8). This implies meat could be three times worse than seafood. There was another similar study that found even greater risks associated with meat intake, but none for seafood. Overall this suggests seafood is far less of a concern than meat (9). For those who already have gout, the impact of meat intake (and maybe seafood) on symptoms is even worse. 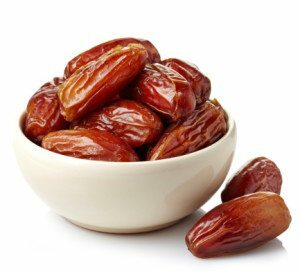 This is likely due to sharper increases in blood uric acid, as well as poorer clearance by the body (10). Therefore if you have a history of gout, it is best to dramatically reduce your meat intake, and seafood as well to a lesser extent. Anecdotal evidence suggests avoiding dark part of salmon, and de-veining prawns/shrimp before eating. You should also buy your meat direct from the butcher where possible, or at least the better quality choices in the supermarket. Sausages and low-quality ground beef may contain traces of organ meat that can cause big problems (see the next point). In saying that, it would be beneficial to include high-quality (purine-free) Omega-3 fish oil supplements in your diet. They have powerful anti-inflammatory properties that may help with gout symptoms. Summary: Frequent consumption of meat is strongly linked with gout risk. The impact of seafood appears far less severe, but there is a link. Organ meats, known as Offal, contain by far the most purines of any food in the human diet. 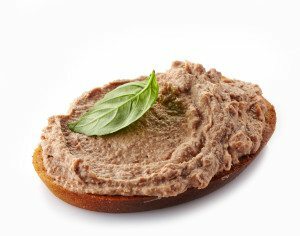 The most common forms of offal in the Western diet include liver (such as Foie Gras), brain, heart, kidneys, and a mixture called Pâté. 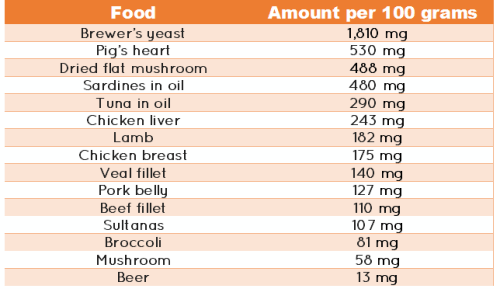 Below is the purine content of a handful of foods. Note this is just an example I’ve selected, and you can find much more extensive lists on Goutpal or here. Consider that values listed are per 100 grams, so portion sizes must be taken into account… Meat portions we eat tend to be heaviest. Previous studies have not differentiated between intake of conventional meat and offal, so recommendations have to be the same. Given the strong link between meat intake and gout – which is based on purine content alone – offal should definitely be avoided too. Somewhat contradictory to the purine-gout theory, consumption of purine-rich vegetables is not associated with an increased risk of gout (3). 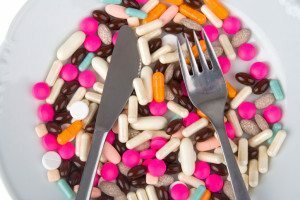 Researchers speculate this could be due to a lower bioavailability of purines in vegetabes, as well as other nutrients which may offset the harmful effects of their purines. Summary: Organ meats are some of the highest purine foods and should be completely avoided if you suffer gout attacks. Added sugar is a big problem in the modern diet. Generally speaking, the sugar that is added to our food and drink products are 50% glucose and 50% fructose. While glucose molecules are metabolised in the cell, fructose is metabolised in the liver. Further explanation is out of the scope of this article, but they behave very differently in the body. Fructose intake, and not glucose intake, is strongly linked with gout. Soft drinks and fruit juices tend to have the greatest amount of added sugar, and therefore the greatest amount of added fructose. In fact, gout occurrence in the US has risen in line with fructose consumption (listed as high fructose corn syrup) since 1970 (11). 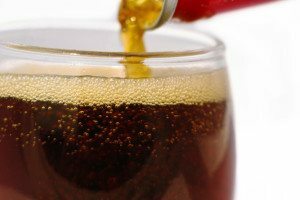 In a large study of over 46,000 men, researches found that two or more sugar-sweetened soft drinks a day was associated with an 85% increased risk of gout (12). The largest consumers of sugar-sweetened soft drinks (and foods) actually had a risk of gout comparable to the risk seen with three to five servings of alcohol. Unfortunately the researchers did not account for family history of gout, which may or may not have changed their findings somewhat. The strange thing out of all this, however, is that soft drinks don’t typically contain purines. Fructose is thought to be the “culprit” linking added sugars with gout. It appears to share the same mechanism as alcohol: fructose accelerates the breakdown of purine-containing nucleotides like ATP. This in turn drives up uric acid levels (13, 14, 15). Glucose and other simple sugars, on the other hand, have no effect on uric acid. 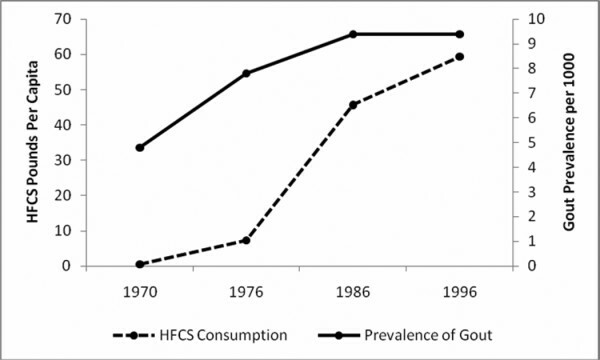 It still remains unclear whether the increase in gout incidence is caused directly by fructose, or indirectly through some other mechanism, such as obesity (16). Either way, added sugars appear to play a part and should be avoided to minimise gout risk. They offer no nutritional value anyway. If you must have something sweet, diet soft drinks (artificially sweetened) were not associated with gout and appear to be safe (17). Just know that several artificial sweeteners are thought to upset gut bacteria, and are not necessarily a healthier choice. Summary: Drinks high in added sugar are associated with an 85% increased risk of gout in men. Fructose is thought to be the nutrient responsible as it stimulates uric acid production in the same way as alcohol. High sugar drinks may not be the only stimulant of gout flare ups. Certain fruits – which are a natural source of fructose – have also been linked with gout. This is a highly contentious area, because several studies have linked higher fruit intake with less incidence of gout. This is probably due to their high fibre content (9, 18). And unlike fruit juice and other sugar-sweetened drinks, whole fruits are nutritious and generally good for health. There is no disputing this. However, if you continually have gout attacks – despite cutting out alcohol and sugar-sweetened drinks – then I’m not convinced a large amount of fruits are safe for you. Especially if you are overweight and eat a Western diet. So cutting back on certain very high-fructose fruits is like a Plan D, if you will. The link comes back to fructose, which stimulates uric acid production in a similar manner to alcohol. Fructose is naturally found in fruit and honey. One study found that the consumption of apples or oranges – the most popular fruits in this study – was linked with an increased risk of gout compared to those who consume less than one serving of fruit per month. No link was found with other fruits however (12). While most fruits are very low in fructose, a few are very high. Frequent consumption of these could theoretically causes problems for gout sufferers. Note this list is ranked on a per calorie basis, not per serving. 200 calories of soft drink equals just over one standard 375 ml (16 oz) can, hence why gout sufferers should avoid soft drinks. But looking at fruits, 200 calories also equals 3 medium apples, 3 medjool dates, or 2.5 wedges of watermelon. It is easily possible to consume these amounts in the course of a few hours, or less. If the fructose content in soft drinks and juices may contribute directly to gout, then the same can be said for an equivalent amount in fruit. Summary: In theory, large intakes of certain fruits may also aggravate gout in those who suffer frequent attacks. Not exactly foods to avoid with gout, but the ingestion of some common medications sharply raise the risk of a gout attack. Specifically, low doses of aspirin, which one in three middle-aged Americans takes regularly to help prevent heart disease (20). 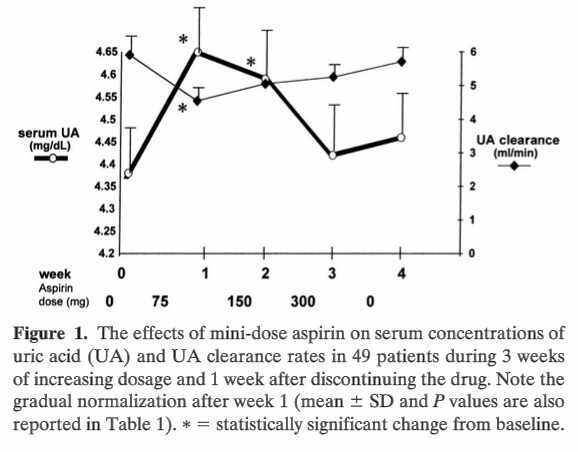 The emphasis is on low doses because aspirin has a dual effect on uric acid levels. Very high doses above 3,000 mg promotes excretion of uric acid (good in this case), whereas low doses prevent excretion (21). In a study of 49 elderly patients, just 75 mg of aspirin per day increased blood uric acid levels by 6% within one week. A daily dose of 150 mg kept levels high during the second week, before coming down with 300 mg doses in the third week (22). Considering the typical dose for heart disease prevention is 81-325 mg per day, it is no real surprise this dosage is associated with a doubling in gout risk. In fact, even the use of a low-dose aspirin for two consecutive days (as a painkiller for example) increases risk of recurrent gout attacks (23). Another type of medication known to trigger gout is diuretics. They are typically used to treat high blood pressure and oedema, and if feasible should be discontinued in gout sufferers. I’m by no means recommending you cease your medications if you have gout, but it’s important to understand the pharmaceutical triggers. First speak with your doctor and closely monitor uric acid levels before making any changes. And if you need a temporary painkiller, choose paracetamol or ibuprofen. No aspirin. Summary: Low dose aspirin is a widely used drug that is proven to trigger gout, even if taken for a short period of time. 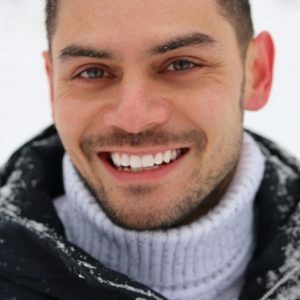 Diuretics are also known to increase risk. While diet is critical, don’t overlook other important factors that affect gout. These include family history, sleep apnoea, and lack of physical exercise to name a few. Further discussion of best treatment for gout is outside the scope of this article. But there are foods thought to be protective; namely dairy, cherries, and coffee, in decreasing order of evidence. And as much as I prefer focusing on what you should eat to prevent health scares, there are just so many clear trigger foods for gout. It’s important to deal with these factors first and foremost. By understanding what to avoid, and why, gives you the best chance to overcome it.